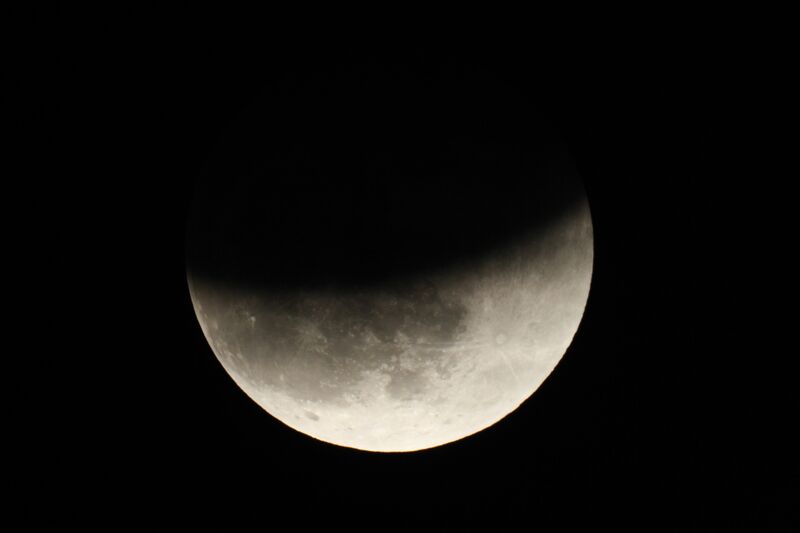 Crescent Eclipse - You might think you're looking at a picture of the crescent Moon here, but this is actually a picture of a partial lunar eclipse. You will never see a crescent Moon with borders cut exactly like they are here, as the darkened part of the Moon here is caused by Earth casting it's shadow onto the full Moon. Thus, the curved border between invisible and visible parts of the moon in this picture is in fact the border of Earth's shadow.